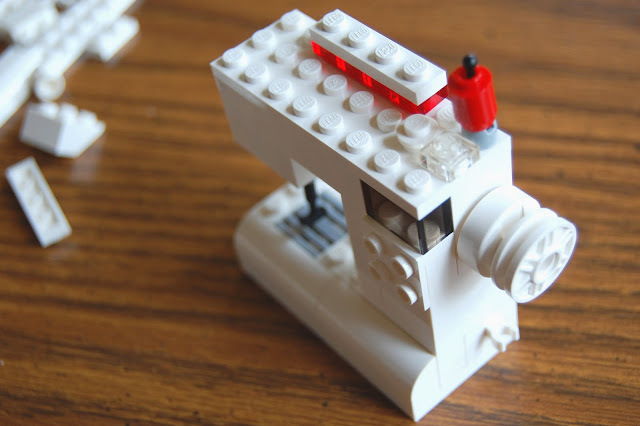 I read Carrie's post a few months ago about how she created a little Lego Bernina (it looks a lot like the Activa line) and got inspired to make one myself! If you haven't yet found Carrie's creative blog, Suchity Such, go over RIGHT NOW and check it out! 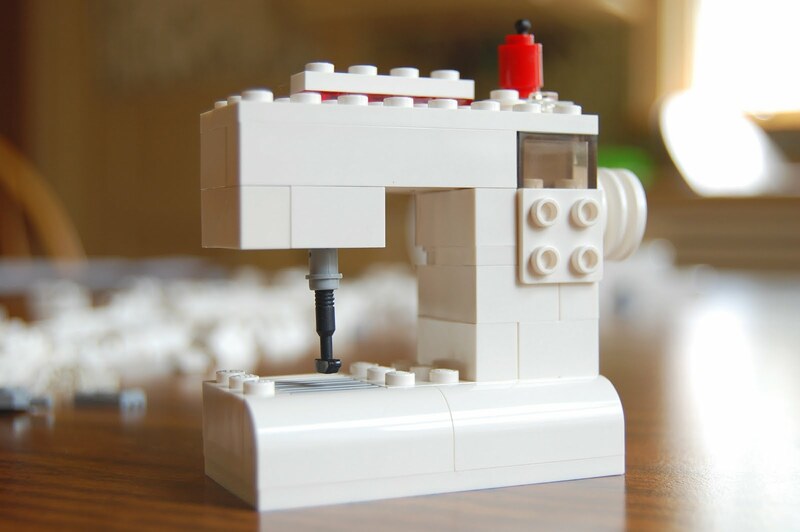 Carrie blogs about things she's sewing, crafting, making with Lego's, and other things that inspire her. First, I visited my local Lego store over at Woodfield Mall, where the super friendly staff helped me pick out pieces that looked like they would help build a Lego Bernina. (Did you know you can buy individual lego pieces by the container in stores? So cool!) There were some specialty pieces that weren't available as single pieced in the store, but the staff pointed me to the "Pick a piece" option of buying individual pieces through Lego.com. Well, my Lego.com order finally arrived this week! 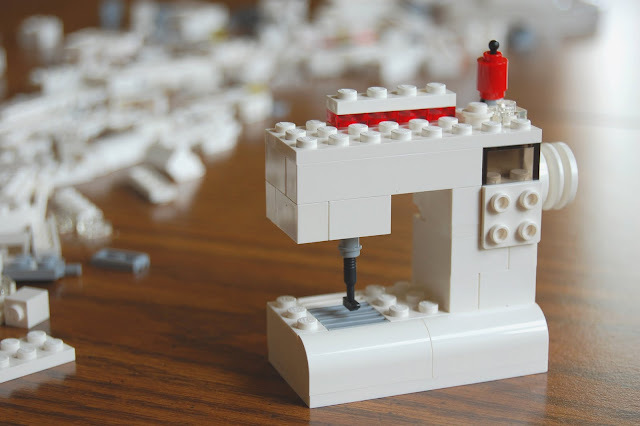 So I set to work building my own Lego Bernina. My machine looks a little different than Carrie's, but believe it or not it was difficult to build this just from looking at a few pictures. I added the "handle" on top of the machine for a spot of color, along with a little bobbin winder. It's just so cute, a Bernina that fits in the palm of your hand! This project made me remember loving the Legos when I was a kid - and got me wondering where my Legos ended up after the move. Now I need to track them down and add my brand new stash to my collection. Or maybe I need to leave them out so I can keep on playing! I have just enough Lego to build one of these and you know, it's probably the closest I'll get to the real thing for a looong time, so I am all over it. Thanks! I love it! We now have a Lego store in Indy that my husband and I have been wanting to go to. 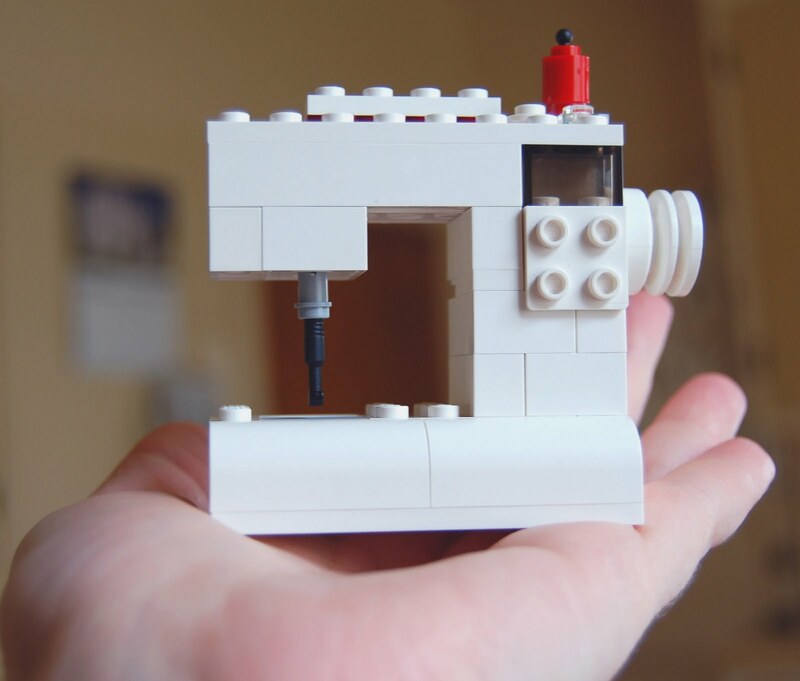 I totally want to build a Lego version of my machine. That would make a funky cute decoration for my sewing studio. Too cute and very clever! You know you could sell Lego sewing machine kits! How fun would that be! I would buy one .....just be sure it has instructions.....please! Thanks everyone! Cathy and Terri, the best part of this project is trying to figure out how to make it yourself! 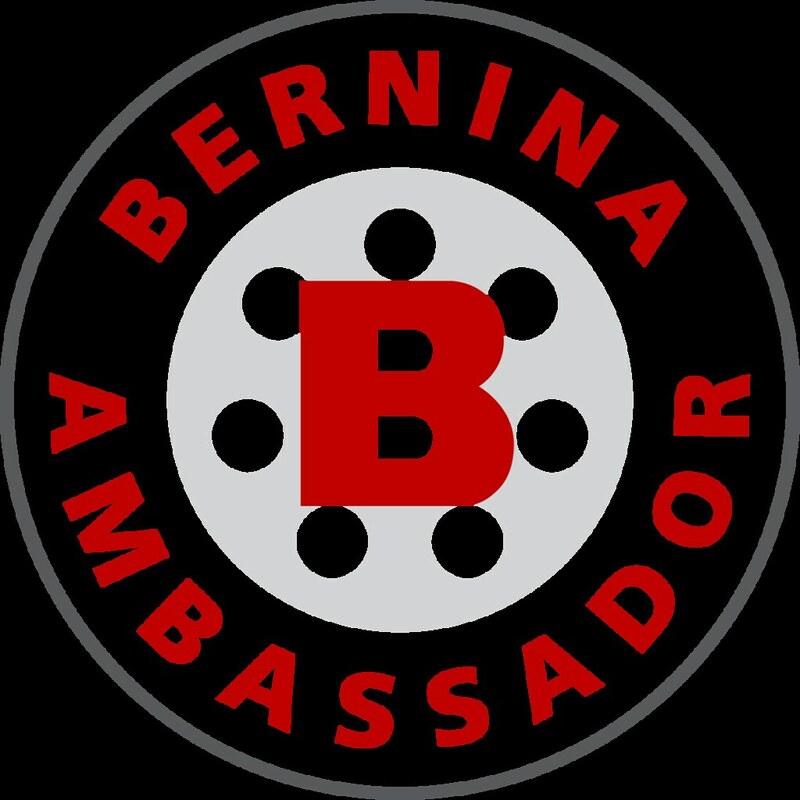 You can get help from the wonderful Lego staff, if you print out the photos of my Lego Bernina and take it into a store they can help you find the pieces you need! So awesome! Would you mind if I used one of these photos on my blog, of course linking back to you? I've told my 10yr old that he HAS to make me one of these! i might be missing it but did you post a photo of all the parts you used or instructions on how to make this?? ?